Note: This is the launch of the effort to get Gov. Sarah Palin -- in 2012 -- a new home, the White House in Washington, DC. The following message is from Janet of the Read My Lipstick Network (RMLN), which I urge you to join. Only a few short days to go before VICTORY! Every single vote matters and could be the one that puts us over the top. Make some phone calls! Find a rally! Send emails and blog, blog, blog. On November 5th things in this country are going to change, and we need to be prepared to change, too. The focus of the Read My Lipstick Network has been to support Sarah Palin and to get our dynamic duo elected on Nov. 4th. We've also been working to promote conservative values, regardless of party affiliation. Our voice is going to be all the more important the day after the election. Either we'll be supporting John McCain and Sarah Palin and will be working to get news out that the media won't cover, OR (hopefully not), we'll be working to preserve conservative values in our great country as the other guys undermine everything that has made our country free and prosperous. Either way, it's going to be tough and your blogs and your voices will be critical in the coming years. I'm attaching two new logos we'll be using after the election rather than just the lips or the logos we've been using. If you have the blogroll on your site, you won't need to do anything, it will self update (as soon as we can get into it!). Plan to pop them up on Nov. 5th and connect them to http://www.readmylipsticknetwork.com/. The larger logo is perfect for the sidebar of most blogs, the other is a smaller version you may want to include elsewhere. We would much prefer that you have the blogroll code on your blog (located here: http://rmlnblogroll.blogspot.com/), however some of you can't include blogrolls. Another potential issue some of us are discussing is that Google and Blogger are owned by a big supporter of Obama. It's a possibility that at some point we're going to have difficulty using their free system. Just something to think about! We're setting up our Read My Lipstick Network website and should have it ready to roll right after the election (it will be http://www.readmylipsticknetwork.com/). We're also setting up a Ning site similar to http://www.teamsarah.org/, which may or may not take off, we'll see (it's free ;-). 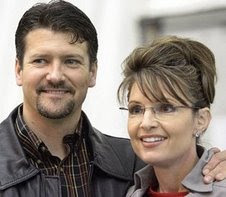 We're also connecting with some other great groups that are already gearing up to move forward after the election (how about this - some are planning to work toward electing Sarah Palin as President in 2012!). I've been telling you about the Wake Up America Movement (http://www.wam08.org/), http://www.mccainvictory08.com/, bloggers for Drill Here, Drill Now (http://theamericansentinel.com/about/), http://www.anobamnation.net/, http://www.justsaynodeal.com/, PUMA and others and encouraging all of you to get involved with them. Take a look at http://www.modernconservative.com/. I think that connecting with them will be a positive move for RMLN, don't you? After the election we ALL need to band together and keep on fighting the good fight. Maybe all the groups need to come up with one big umbrella name to ensure we're walking together and working clearly toward our common goals! Kind of like the fish symbol tells everyone that you're a Christian, maybe we need a similar symbol that connects the purpose and share the commonality of goals. Another thought for another day . Right now, let's get John McCain and Sarah Palin elected and send Barack Obama back to the Senate. Obama has already said if he doesn't win on Tuesday he'll be back for the next election. We'll definitely need to be out there shoring up support for conservative values, 'cause they are going to attack, attack, twist and attack when he doesn't win. Visit http://www.johnmccain.com/ and make some phone calls!